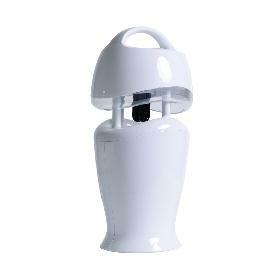 1: Metal materials and spraying plastic on the surface, sturdy and durable with elegant appearance. 2: Two electronic rectifiers instead of inductance one makes it safe and environmental with no noise, high pressure and arc. 3: Two imported UV resistant lights that are explosionproof and low in temperature with effective 365nm wavelength. 4: Sticky board is suitable for 20-50°,containing attractants. 1. With modern design, reasonable price, high quality and good service, our products must be your first choice! 2. 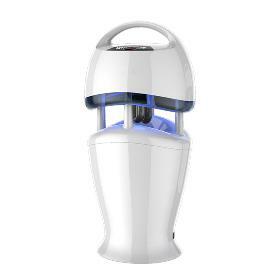 Low Noise and high safety: Ultra-quiet fan to minimize the noise .Mosquitoes are attracted to the repository and are air-dried and dehydrated to death. There is no “pa-pa” sounds like using electroshock mosquitoes catchers, and there is no high voltage, so it’s very safe and quiet. 3. Purifying air: High concentrations of photocatalyst can absorb more harmful gases in the air. 4. 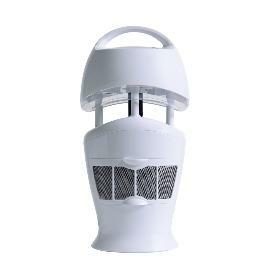 Super anti-mosquito effect: Live mosquito which was captured in the mosquitoes storeroom will send out chemical information to attract the same, can continuously capture the surrounding blood-sucking female mosquitoes, To interrupt the mosquito breeding cycle group, completely eliminate mosquitoes. 5. 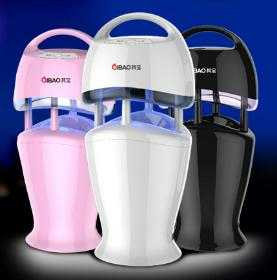 No radiation and energy saving: It can be use for children and pregnant woman. 6. With wide application, you can use in living room, bed room, hotel, office, hospital, mall and so on. Zhongshan Guihua Electrical Appliance Co., Ltd. is a professional China manufacturer of home appliance, our products including Electric humidifier, Mosquito killer lamp, Warm air blower, Facial steamer, etc. Guihua Company has an excellent and powerful Design Research & Development Team. All the time we put emphasis on research and innovation, and we would launch many new products every year. And products can be customized, we would like to try all our best to meet your demands if you have any special requirement. Please trust and choose us! Warmly welcome you hand join with us together to occupy market shares. Thank you! 1. Q: How to pay the money? R: We accept payment by T/T, L/C at sight or Cash (CNY). Please tell us your prefer payment, and then offer the details information with PI. 2. Q: What’s Trade Term? R: EXW, FOB or CIF, depends on your request. 3. Q: What’s the shipment method? R: It can be Ocean shipping, Airlift and Express (EMS, UPS, DHL, TNT and FEDEX). Will check the best shipping method when have your order. 4. Q: Is the sample fee can be refund? R: Will return the sample cost once your order qty reach to stipulate qty. the stipulate qty depend on models.